You're Here: Home / Blog / Digital Signage / AV / Pro AV resellers, is it time to join in ? As we get towards the end of the year, businesses start to plan for new ways to generate extra revenue for the coming year by adding new products and services to their portfolios. For companies who have not yet added digital signage to their product range, this may be an opportunity to take a look at what advantages this could bring to their customers and bottom line revenue. Because of the attraction towards digital signage, its growing popularity and its ability to be remotely managed, IT vendors, distributors, value added resellers and other channel partners have all forged a link in the digital signage eco system to provide solutions to the market. The question is where does the AV professional fit in to this? After considering the number of industries involved with digital signage, it should be recognised that this is not a single market, but that it combines a number of different components and industries to make up a solution. This should not deter the savvy AV Professional. 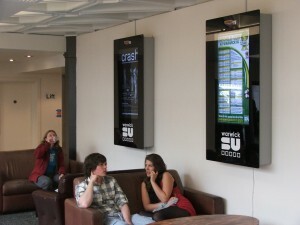 So what is digital signage? Digital signage is a product application that combines a number of technologies and specific communication objectives. Digital signage can be used in various market sectors , including, but not exclusively, in Retail, Education and Hospitality venues. Centrally controlled and updated remotely, a single or multiple digital display network can be easily managed and updated. AV Professionals wear many hats and are usually conversant in a wide range of technologies and vertical markets, and experts in audio and visual presentation. No one else in the digital signage chain can boast this. Once the content is designed and transmitted to its destination across a network, the final success and impact rests in the hands of the AV Professional. High definition displays integrated and installed in the correct locations, create maximum impact for the viewer and provide the “Quality” that the presentation requires. This valuable knowledge and expertise makes AV Professional businesses the ideal partner for any digital signage provider. Multi site installations might require networking knowledge, dependent on the infrastructure, but with cloud based digital signage product like digitalsignage.NET , the bulk of the technical work is done for installers. Cloud based digital signage products, like the aforementioned product from industry veterans Dynamax, remove the complication that comes with some digital signage software installations. Our Amazon backed hosted solution provides seamless operation with no dedicated server hardware to manage. With Amazon partners like Netflix also using the same cloud based servers as Dynamax, you can be guaranteed that your digital signage system will be totally reliable and you have a worry free service that you can offer with confidence to your clients. So where do the AV professional fit in? Digital signage deployment can be divided into several categories but are broadly defined by the type of content and information that they show. The two main content categories are Advertising and Marketing, and Information orientated messaging. Advertising and Marketing content is usually defined by location and time. The location is prominent places where people gather (train stations, airports,) and installed in areas where “dwell time” takes place. Content displayed is by major brands with national campaigns, mixed with current news, sport and weather [inset JCD pic] Content is delivered in time slots appropriate to the time of day and the demographics of the audience who will be there to view it. Large system integrators with existing client contracts in place, are usually the type of business that are involved with large scale installations of this nature and traditional AV Professionals have historically found it difficult to break in to this space. The need for national coverage, dedicated 24/7 support and the emphasis placed on accuracy for proof of playback, makes the digital signage adverting market quite niche. Information related orientated messaging, still requires the content to be delivered in a timely fashion, but is usually installed in smaller closed area networks like schools, universities, corporate offices, or small retail outlets, such as pharmacies or fast food outlets. These are the types of customers that the AV Professionals know well and already sell to, so introducing a cloud based digital signage package can be a simple and straightforward process. No complex server management or expensive software products required. The service provider does all the management so you don’t have to worry. 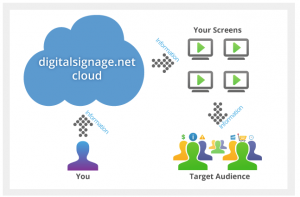 So what revenue can AV Professionals make from digital signage? 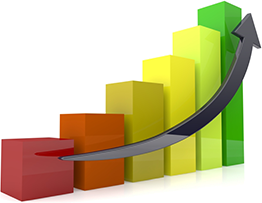 Revenues from cloud based digital signage systems like digitalsignage.NET by Dynamax, allows AV Professional to make recurring revenue year on year. The subscription-based model allows resellers to charge an annual licence fee together with free software updates. Free support is offered by the vendor but additional sevice level contracts can be added to provide the user with a full solution that fits their requirements. See how one of our AV resellers benefitted from adding digital signage to their portfolio of services. This entry was posted in AV, Digital Signage and tagged #avtweeps, #digitalsignage, #proav, digital signage, digital signage news, digital signage software by Dynamax. Bookmark the permalink.